ABILENE, TX -- The Texas A&M Forest Service and multiple fire departments are fighting wildfires in many locations across West Texas Friday. KTXS is reporting a large wildfire near Hawley in Jones County north of Abilene. 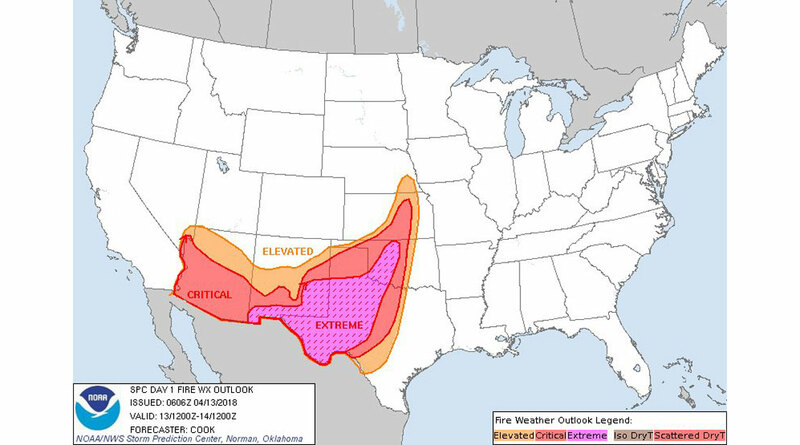 Most of West Texas and the Panhandle are under a Red Flag warning as high winds and low humidities are creating dangerous wildfire conditions. Firefighters are also battling a blaze in Howard County near Big Spring as well. 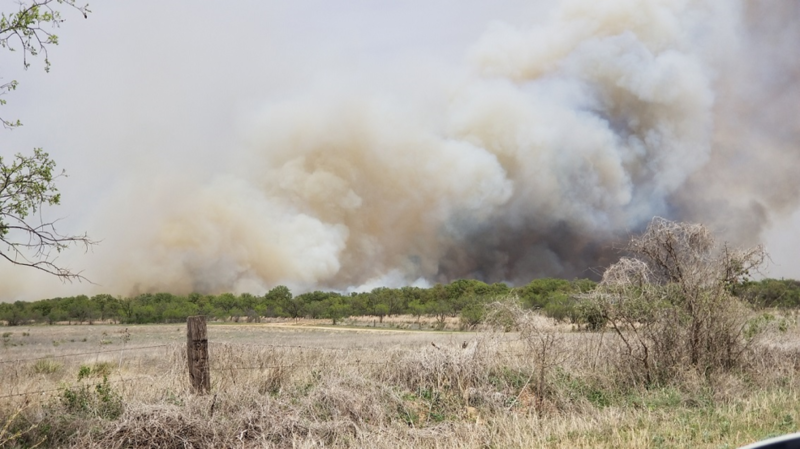 According to the Texas A&M Forest Service, the Craig Road Fire has burned over 300 acres and is zero percent contained. Evacuations have been ordered. There is also a major wildfire in Wheeler county which has burned over 2,500 acres. San Angelo Firefighters are also responding to multiple calls of small grass fires within the city limits. We will update this story as new and timely information becomes available.